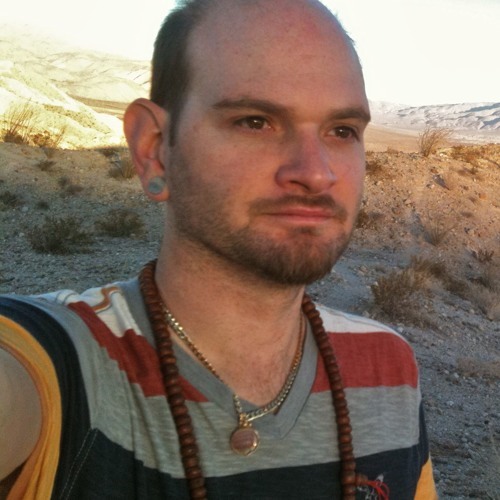 David Samas is a composer, cosmologist, poet, painter, performer, philosopher, farmer and father of 4; he is a practitioner and professor of arcane healing technologies and traditional magics- a field which includes massage, herbalism, hypnotherapy, psychoacoustics and shamanism. He has a BFA from the SF Art Institute in conceptual art and studied poetics at the New College of California, Vassar, Bennington and S.F. State. As a young man he performed with the SF Boys Chorus, the SF Opera and the SF Symphony with which he won a GRAMMY for the “best classical recording” of 1994. He also makes sacred geometry amulets and talismans, is an excellent cook, and self publishes small editions of hand bound art books. Lately, he focuses on inventing instruments and extended vocal techniques. He is the creator of the Superb Metaliphone, the Gamelan Piano, the Crystalithaphone, Glassilalia and a number of musical paintings which serve as sets, orchestras and characters for his inventive operas and shadow plays. He uses Tuvan overtone singing and Tibetan deep chanting along with a host of birdsongs, whale songs, howling and polyphonic split tones to weave a dense tapestry of unusual sounds. David has performed everywhere from the altar of Grace Cathedral on Easter, to the Art in Nature Festival in the Oakland woods, to guerilla audience performances of “orchestrated applause” at the Other Minds Festival and Davis Symphony Hall. David has performed and been interviewed on local and national radio (KALW-2012, PRN-2011, KQUD, Fifi?) on topics as diverse as organic farming, historical shamanism and healing song. His chamber opera “The Green Wood” premiered at Berkeley Arts Festival in Oct. 2012 and will be performed at shotwell studios in march 2013. His collaborative trombone concerto premièred at Meridian gallery’s Composers in Performance series Nov 2012 and will be performed tellamatically (bicoastaly) with Pauline Oliveros at CCRMA Stanford and Reinssleir Polytechnical simultaneously . He has performed invented instruments at the Exploritorium (2000) and the SF Art Institute (2001) and received honorable mention form the NFA (1997). check out his invented instruments on facebook: http://www.facebook.com/media/set/?set=a.383195125039619.110511.100000474044278&type=3 or listen to him on soundcloud: http://soundcloud.com/david-samas David Samas is also the impresario and host of the Turquoise Yantra Grotto- a house concert series for avant improvisers and invented instrumentalists with a focus on ethno-modernism and extended techniques. TYG holds a monthly event which is part concert, part art opening and part social club, with Chinese tea service, near Glen Canyon in San Francisco. In that context has recently collaborated with Joe Lasqo, Bart Hopkin, Bob Marsh, Laurie Amat and Tom Nunn. Check out tyg on facebook: http://www.facebook.com/pages/Turquoise-Yantra-Grotto/284577768269213 or listen in at sondcloud: http://soundcloud.com/turquoise-yantra-grott He currently plays with and composes for Pet the Tiger, an improvised acoustic collective for invented instruments with Grace Renaud (keyboards and percussion), Ash Ritter (idiophones and aquatiphones), and Peter Bonos (horns and explosives).